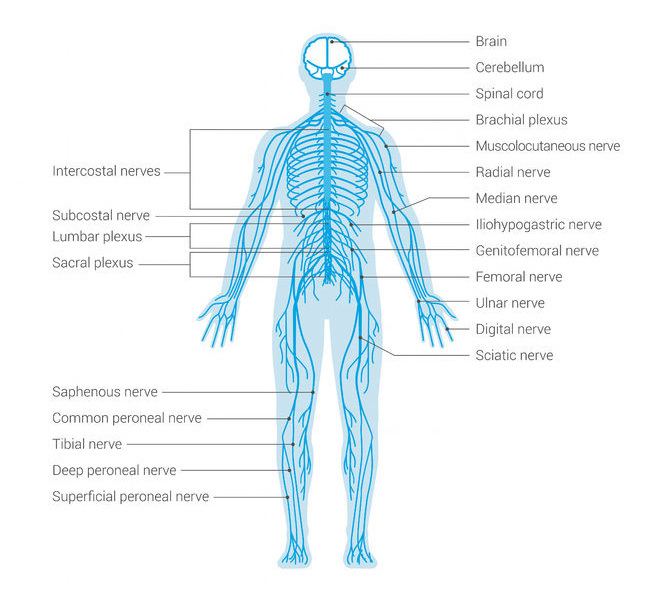 The central nervous system (CNS) is the main ‘control system’ for your body and various parts of your brain. In other words, this is what allows your body to rapidly react to visual stimuli by contracting muscles, releasing hormones and more. Your central nervous system relays information from your sensory organs to your muscles and gives you the ability to catch, to balance and even to perform well at computer games. It’s also what enables you to perform in sports with the perfect technique and it’s what lets you recruit the maximum number of muscle fibers in the gym to lift the heaviest weight. It is even responsible for the contractions that allow you to maintain the correct posture throughout the day – without it you’d just slump in your chair or even fall off! When it comes to optimal performance then, the central nervous system plays a very crucial role. How then might we ensure it is functioning optimally? The CNS is comprised of the brain and spinal cord and more specifically the cerebellum and diencephalon regions of the brain. 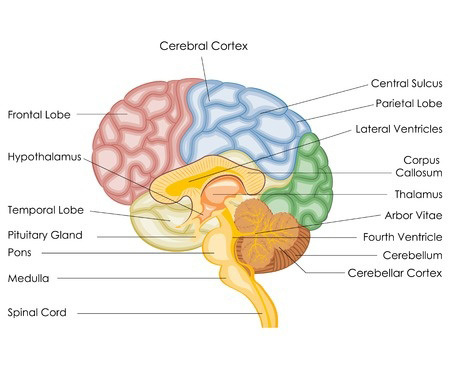 The cerebellum is actually the second largest area of the brain, which should give you an indication of just how important the CNS is for your survival and function. The main function of the cerebellum in this context is to coordinate your muscle contractions, providing precise movement and allowing you to maintain your balance and posture. Partly this is also aided by ‘reflexive strength’ which describes the tendency of the muscles to ‘spring back’ to their original size and shape when stretched, thus returning to an equilibrium. Most of what goes on in your cerebellum occurs unconsciously: imagine if you had to consciously tense the required muscles to stay upright all the time! The diencephalon meanwhile can be divided into two smaller areas which are the thalamus and hypothalamus. The thalamus is best thought of as a ‘relay station’ for receiving nerve impulses and sending them to the right part of the brain. This is where information ‘comes in’ regarding what you can see, your orientation in space, your proprioception (awareness of your own body) etc. Again, much of this stays unconscious and is instead simply sent to other parts of the brain including the cerebellum to regulate your position. Finally, the hypothalamus is the part of the brain that controls your breathing, your heart rate and all your other bodily functions. Its job is to help you maintain homeostasis most of the time meaning that your body temperature and heart rate should be largely consistent. It does most of this through the release of neurotransmitters and hormones via the pituitary gland which is located close by. All this information is carried via electrical impulses that travel up and down the spinal cord and the brain stem. When it comes to keeping you upright and helping you to balance, your central nervous system will fire impulses in a fraction of an instant based on years of experience of having to maintain your balance. When you slip on ice, your arms, legs and torso will move instantly in order to help you regain your composure and stay upright. Meanwhile your heart rate will increase as your hypothalamus tells your pituitary gland to start releasing extra adrenaline signaling the ‘fight or flight’ response. At the same time though, you can also ‘program’ your CNS to react automatically in particular ways as defined by your training. One study compared the strength and coordination in the leg muscles of athletic jumpers, swimmers, soccer players and people with poor or good vertical jumps. Interestingly, the swimmers were the poorest jumpers, even though they had strong leg muscles. The reason for this was the coordination they had learned and muscle control was different (1). By repeating the same movements over and over you can train your CNS to respond and fire in particular ways which is how you improve your technique. Anyone who has done martial arts will have experienced this first hand – the aim is eventually to block and throw punches without consciously ‘thinking’ about it. This is ‘no mind’ or more specifically, a well-trained central nervous system. This shows how athletes and others can learn better technique in their sports and increase their reactions so that they return or catch balls with a greater success rate. At the same time though, it also shows how easily bad habits can form and how learning one set of skills (such as swimming) might in fact impair our ability to perform in another capacity (i.e. jumping). It appears to make an argument for specialization in sports training. This ability of the brain to adapt to the demands of specific sports essentially comes down to brain plasticity – the propensity of the brain to form new neural connections and even new neurons in response to training/learning. Brain plasticity is most pronounced during childhood when we’re learning to walk and talk but it can be improved by getting enough sleep (which is when these pathways are strengthened), by getting the right nutrition and potentially by using supplements. One study has shown very promising results from the use of valproic acid (2). Note as well that using your central nervous system can also help to ‘wake it up’ and increase its ability to fire rapidly. This is one of the important functions of warming up but it should also be noted that excessive use can fatigue the CNS so it’s important not to overexert yourself at this point (3). In real terms, you will not be able to sprint your fastest unless you have warmed up but after sprinting a few times your CNS will slow you down as a limiting factor even if your muscles are not yet tired. So that’s how you go about training your central nervous system, but what about generally improving your ability to quickly respond to stimuli, to maintain your balance and to recruit muscle fiber? For starters, it appears that training with heavier weights can improve your ‘mind muscle connection’ and enable your CNS to recruit a greater proportion of your fast-twitch muscle fibers (4). The heavier the weight, the stronger the signals being sent between the receptor and effector organs and the greater control you’ll develop over your muscles. The referenced study indicates that lifting 90% of your 1RPM for sets of three reps is the most effective form of training; though it may be possible that ‘overcoming isometric training’ could be even more powerful (this involves pulling or pushing against an immovable object). This will improve your central nervous system’s ability to respond by contracting muscles but to generally increase your speed and reactions you also need to think about the speed with which you process the input. In other words, you need to increase your senses so that means looking after your vision, balance, hearing and kinesthetic awareness with the right diet and a healthy lifestyle. Interestingly, you can also increase your awareness of your senses by producing the correct neurotransmitters. When you are hurtling down the side of a mountain on a snowboard or falling over as you slip on ice, your CNS activates your autonomic nervous system resulting in the fight-or-flight response. Your brain is then flooded with chemicals like norepinephrine, dopamine and cortisol which all increase your awareness of your senses as well as the strength of your muscle contractions. While we can’t always be in fight-or-flight while performing, we can certainly increase our performance by increasing our focus on the training/sport we are engaging in. By avoiding distractions and convincing yourself that what you are doing matters, you will trigger a neurochemical response that increases your strength, awareness and technique. Perhaps the most important factor here though is that kinesthetic awareness, also known as proprioception, which refers to your awareness of your body in space and your orientation. These are the sense that you use when you need to catch your balance, or when you need to contort your body to leap through a small space. There are numerous ways to train your proprioception but the two main ones are to simply practicing balancing (surfing, skiing or even riding a bike are great training for this) and to use contralateral training. Contralateral training is any training that involves using all four limbs in non-symmetrical fashion. The most common example of this is to use ‘crawls’ which are exercises that involve crawling along the ground and using your four limbs in an alternating fashion. Rock climbing can actually be a very effective training tool as well though, as it essentially uses the same motion but in a vertical fashion. This type of training requires coordination across the ‘X’ running through your core and this in turn provides great benefits for the CNS. Finally, supplementation is also a very useful tool for increasing the speed and function of your central nervous system. Specifically, using omega 3 fatty acids can help to increase the permeability of your cell membranes which speeds the rate of transmission between neurons. In short, using omega 3 might help your cells to communicate more quickly and this can result in faster reaction times. One of the take-home lessons is to think about generally how little we use our central nervous system today compared to how we would have used it in our evolutionary history. There was a time when our ancestors would have been constantly balancing across branches, leaping across gaps and running from predators – constantly aware of their surroundings and constantly listening to their bodies. Today we spend most time sat down and disinterested. By bringing some action and awareness back into our training, we can greatly enhance our physical performance and potentially drastically increase our reflexes.